Meet at 10.30 for a tour of the Solent Sky Museum, guided by the manager Steve Alcock who has a good knowledge of Shute and his aviation connections. Will include a cockpit visit to a flying boat. £5 per person. Followed by lunch at the Admiral Sir Lucius Curtis, a short walk away in Ocean Village. They will provide an area for us to eat and discuss the book. Re the October Newsletter and John Fowles’ comments about the TV series made of The Far Country, I really enjoyed that webpage you set up those years ago, as I felt absolutely the same about that travesty of a production. If any viewer had NOT read the book, then it was probably OK as an entertainment. BUT it seemed evident that the maker/producer/director hardly made an effort to present the story from the book as it stood. Also, much as I really like Sigrid Thornton, she was not the auburn haired heroine and so did not fit the image who ended up in the painting by Stan Kulkin the railway worker who was an ex-portrait painter. This is one of my favourite Shute books, and I could not believe what they did to it. A perfect example of “I’ve got a better idea” syndrome. On October 14 we had our bookreading of No Highway at Teuge airport. From about 11:00 am the first people started coming. We gathered on the terrace outside as the weather was wonderful. Around 24 C (75 F), which is extremely warm for this time of the year. Around noon we went inside for a great lunch and after that have our book discussion. All eight participants had a good time, at a very nice location. 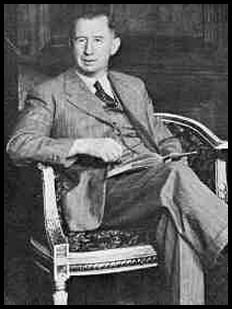 One thing that I learned was, that Nevil Shute wrote the book using B.O.A.C. as the airline. When the book was published in the USA, B.O.A.C. was not happy about this. The contacted the publishers, and there was a meeting in London, with people from B.O.A.C., the publishers, and Nevil Shute. It was than decided that the name of the airline would be changed to CATO. I have a first English print, and the airline is CATO. I found and ordered a first American print. The next Dutch meeting will be held in May next year, at the Aviodrome, at Lelystad airport. I am interested in Nevil Shute’s fly fishing which was and important plot point in several of his books. The hero in Pied Piper is an avid and knowledgeable fly fisherman. The airmen in Pastoral find distraction in fishing though not exclusively with flies. In my favorite book, The Far Country, Carl Zlinter “Splinter” fishes the lovely Howqua River and builds his nostalgic cabin near its banks. Does anyone know of biographical references regarding Mr. Shute’s fishing experiences: where he fished, his favorite flies, what fly shops he might have patronized? You see, there is a fly shop in Paris. It has been in business since 1938. The operators talk of Hemmingway shopping there. Alas they do not know if Nevil Shute visited the store, in fact they did not know about him at all. Still, I imagined him shopping for flies there, just like I did this spring. Copyright on Nevil Shute's works. From time to time the Foundation gets enquiries from people who want to adapt Shute's works in various ways e.g produce scripts, adaptations etc. It is worth pointing out that under the terms of the International Convention on Copyright, in most cases the duration of copyright now lasts from the date of the author's death for 70 years. This means that Nevil Shute's works will remain in copyright until the end of 2030. Shute's literary estate is handled by A.P.Watt who are part of Messrs UnitedAgents LLP in London, The person there who deals with Shute's literary work is Georgina Le Grice (glegrice@unitedagents.co.uk) to whom all enquiries regarding copyright permission should be addressed. In An Old Captivity, Nevil Shute wrote about the Vikings coming to Cape Cod and a seaplane landing and finding a rune stone. I have always been curious about Shute visiting this area just before writing that novel. Now, I think, he may have been in contact with Felix DuPont, the owner of the huge munitions company. According to an historical narrative, DuPont build a home on Cape Cod in 1927. The home was near the location described by Shute in An Old Captivity. DuPont was an avid aviator and built, about 1930, the first airplane hanger on Cape Cod, a seaplane shelter near his home. He brought several seaplane rallies to that area in 1931-34. If anyone has additional information about Shute's visit to Cape Cod in 1939, please let us know.